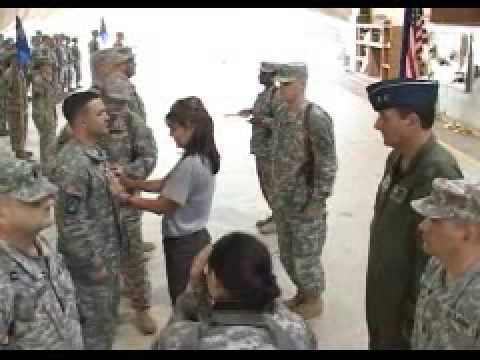 No, this isn’t a preview of Sarah Palin’s first day in Office! [but it could be] No, this is just another day in the life of Sarah Palin as she raises money for charity and thrills the crowds. As you know, the “big show” in town on Saturday was the White House Correspondent’s Dinner, that annual “roast” of the president, or in Obama’s case, love fest. The big news there was Obama going after Trump. Yawn. Low hanging fruit. While the evening activities were certainly the focal point for those attending, the real buzz in town was Sarah Palin, who didn’t even attend the event! Sarah, Todd, Bristol, along with their hosts Greta Van Susteren and her husband John Coale were making the rounds though, and helping raise money for charity. Bristol did go to the “Nerd Prom” as those not invited to the Correspondent’s Dinner are fond of calling it. She was the guest of People Magazine, as we reported she would be. Our friend Adrienne Ross was part of the crew as well. More on that in a bit. The morning started off at the annual White House garden Brunch, hosted by Tammy Haddad. This charity event raises money to find a cure for children with epilepsy. This was Todd’s second trip to the brunch, as he attended in 2009 as Greta’s guest, while Sarah was in Alaska attending to the business of governing the state. Speaking of Todd, the big talk was his newly shaven face. Of course this fueled speculation of an impending run by Sarah. Many seeing this as sign Todd will be spending a lot of time in warmer climates in the coming months. Or, it could just be he was sick of his trademark goatee. Make no mistake about it: The big star at Tammy Haddad’s eighteenth annual garden brunch was not, say, Chace Crawford, Morgan Fairchild or Shaun White. 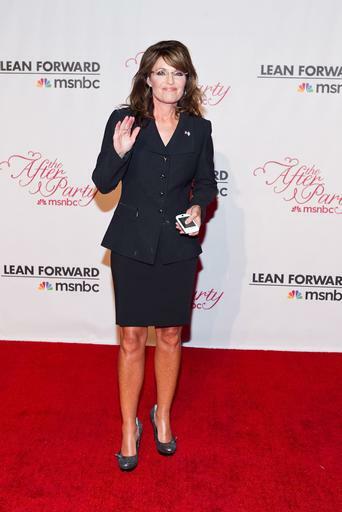 The biggest head-turner was Sarah Palin, who attended the party with Fox News’ s Greta Van Susteren. Palin was also accompanied by her husband, Todd, and daughter Bristol. We had to ask: Why was the former Alaska governor, who has knocked the Georgetown cocktail party crowd in the past, at the brunch? And is Palin looking forward to bumping into Donald Trump, another of the weekend’s most-buzzed-about guests, at some point? “He’s our buddy! We appreciate and respect Donald Trump,” she said. Once inside, guests of all stripes angled to get a picture with Palin, including astronaut Buzz Aldrin. This trend of members of the lamestream media wanting to get next to Sarah would continue well into the night. More on that later, as well. .
Next up on Sarah’s list was the Heroes Among Us dinner she and Lila Rose headlined. The event celebrates mothers and raises money for pro-life causes. Sarah often speaks at these events nationwide. BETHESDA, Md. – Sarah Palin boasted to a group of anti-abortion advocates Saturday that she had a chance to attend the White House Correspondents’ Dinner – but chose to spend her time with them instead. “The pro-life cause or White House Correspondents’ Dinner? I choose life,” Palin told a crowd of about 200 at a fundraiser for the anti-abortion advertising group Heroic Media. Palin said journalism’s nerd prom didn’t have the same appeal for her as presidential hopefuls who attended, like Donald Trump, Newt Gingrich and Jon Huntsman. “You really see evidence of that influence out there of – you know – the celebrity, how the news is, and the political arena, and how it all kind of meshes together. That’s what the White House Correspondents’ Dinner is,” she said. So instead Palin spoke for more than 45 minutes at a “Jews for Sarah” gathering at a hotel here. She never mentioned Israel during her remarks, but she stumped hard against Planned Parenthood and abortion rights advocates, encouraging her listeners to continue fighting for “positive pro-life messages” in the media. Palin praised Heroic Media’s advertising against abortion, on billboards, online and in social media. She also presented an award to Lila Rose, the videographer and activist who did a video sting operation against Planned Parenthood and worked with James O’Keefe on his sting against ACORN. Jewish Americas For Sarah Palin [Jews for Sarah] is a group of Conservative Jewish leaders headed by our friend Benyamin Korn. They have been strong supporters of Sarah and her policies. Make sure you check their website out. After the event, Sarah and Todd went to the Vanity Fair/Bloomberg after-party for the White House crowd, at the French Ambassador’s residence, where they caught back up with Bristol, Greta, and her husband John. From there it was over to the MSNBC [yes, you read that right, MSNBC] after-party, held at the Italian Embassy. Just as it was with the morning brunch, as soon as people learned Sarah was at these events, the people who normally spend their time bashing her, fell all over themselves trying to spend time with her. Reading the reactions on Twitter last night was entertaining! That would be MSNBC’s anchor Rachel Maddow, who was taking a turn as bartender for the guests. Greta Van Susteran ran off to find the guest bartender, MSNBC’s Rachel Maddow, and procure the needed caffeiniated beverage. Surely Maddow was happy to oblige, after the former vice presidential nominee said how much she “admires” the journalist. “Your work ethic shines,” she said to the MSNBC anchor. An interesting admiration, to be sure. Earlier, while on the red carpet with her husband, Todd, Palin named Van Susteran as her choice for today’s most influential journalist. Speaking of Greta, she has a nice report here. The Huffington Post has a photo gallery up, including Sarah talking to Rachel Maddow. Check it all out here. 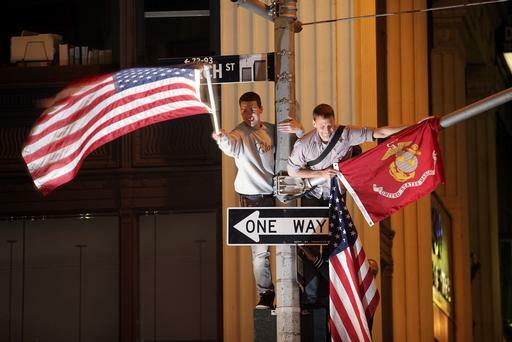 Luke Russert posted this photo. On Sunday Greta was still talking about how Sarah stole the entire show in D.C. Saturday night! What is is about Governor Sarah Palin and the media? Last night she was in DC to give a speech and thus could not attend the White House Correspondents Dinner. She DID go to two after parties to meet some people and catch up with her daughter Bristol who was in town for the dinner. But what is fascinating to watch is how the media (all of them!) just can’t get enough of Governor Sarah Palin. They were all taking pictures of her with themselves for souvenirs and writing about her. She was prominent in the Washington Post coverage, Politico and I think the New York Times. Her name and picture was everywhere! Uffda at Barbaric Thoughts put together a nice compilation of tweets and assorted cellphone cam photos. Check it out. Check out the rest of her photos, and her account of the day here. While you’re there, make sure you bookmark her blog. It’s essential reading. Once again, Sarah Palin shows she’s fearless. Somehow I doubt any of the GOP show ponies would have the guts to dive right into the Washington liberal scene, or as Andrew Breitbart calls it, the Democrat Media Complex. Most especially if they had been treated the way this bunch has treated Sarah. Of course, as violent union thugs were running wild in Wisconsin, Sarah Palin went right to Madison and took it too em. Took em all head on and stood with the American people. I KNOW none of the Republican establishment would have the guts to do that! But there’s more to it, and this is what sets Sarah Palin apart from the crowd. Not only did she go in support of a couple of great charities, and then have some fun and network a bit, at the after-parties, she was gracious while doing it. She treated these people the way she’d want to be treated, not the way she has been treated by them. She was generous with her time, and had some long and serious conversations as well as just hanging out and having fun. She spend a fair amount of time with the financial reporter from the New York Observer explaining why QE2 was dangerous. Freaked him out! Sarah Palin is a happy warrior, just like the great Ronald Reagan. Reagan had the same dynamic with the media as Sarah, and like her, always had the last laugh. I enjoyed that dynamic of the Reagan presidency very much. It’s fun to have that sort of thing again. Below are some photos from the day. Enjoy. Jason Mattera, editor of Human Events, shares parts of his interview with Conservative media giant, Andrew Breitbart. 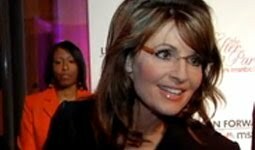 Here Breitbart discusses how Sarah Palin, unlike the rest of the GOP, understands how today’s pop culture influences everything, including politics, and how to use it. Jason and Andrew, while discussing other presidents who “got” pop culture, left one former President out. Richard Nixon understood the power of culture, and famously appeared on the hip, and very edgy show [for it’s day] Laugh-In, where he said “Sock it to me!(? )” one of the hip phrases of the day. It was remarkable because he came off as “the man” TRYING to be hip, but it worked. People liked Nixon for it. I think normal people Sarah Palin’s age [and mine] are quite comfortable with pop culture, and take it for granted. People born in the late 50’s, early 60s, who came of age in the 1970s and 1980s were exposed to a different world than our elders. Our culture was more media driven. Not to mean it was all shallow, or superficial, it’s just we were used to more media exposure from a variety of sources, than our parents, and frankly, to most of us, it just “was“. It had always been with us, so it didn’t seem out of place. My parents, and their contemporaries could, and would, quote Will Rogers and Mark Twain, among others. That was their “pop culture.” People my age quote classic lines from Caddyshack, Animal House, and Saturday Night Live! It is what it is. The Republican establishment has so insulated itself from the real world, by embracing the Washington Beltway, are totally clueless. They have forgotten what the real world is like, and they are so set in their ways, they’ll never embrace the new world. This, by the way, is what happens when one of the GOP establishment tries to act hip. If that’s not pathetic enough, it just so happens that was a Martin Luther King Day rally in Jacksonville, Florida in 2008! Kids, and establishment Republican presidential wannabees, don’t try this at home! SarahPAC will be hosting a live streaming of Sarah Palin’s Tribute to the Troops speech tonight at 9pm EST, 8pm Central, 7pm Mountain 6pm Pacific. She will be appearing along side distinguished military leaders and service members to show appreciation to our nation’s men and women in uniform past, and present – at home, and abroad. You can watch Sarah’s speech by clicking here. Tonight, Sarah will be giving a Tribute to the Troops at Colorado Christian University at 7:00pm Mountain Time, 9:00pm Eastern. She will be appearing along side distinguished military leaders and service members to show appreciation to our nation’s men and women in uniform past, and present – at home, and abroad. All proceeds will be donated to the Tragedy Assistance Program for Survivors (TAPS), a charity benefiting families of the fallen. You can watch the event live online at SarahPAC.com. Click here to see Sarah’s statement on Osama bin Laden. While Barack Obama and the press schmoozed it up at the White House Correspondent’s Dinner on Saturday, the former Governor of Alaska chose a different venue, a pro-life event titled, “Heroes Among Us” in Bethesda, MD. Palin presented an award to Lila Rose, a pro-life activist who conducted a video sting operation against Planned Parenthood. “Planned Parenthood doesn’t empower women or offer women who find themselves in less than ideal circumstances any kind of real choice. What they offer is not real choice or female health care,” Palin said as she stumped hard against Planned Parenthood and abortion rights advocates. Meanwhile, back at the White House Correspondent’s Dinner, Obama took shots at Donald Trump for his show, The Celebrity Apprentice, and for focusing on Obama’s birth certificate. Kudos to Palin for choosing to affect change, rather than focusing on Donald Trump’s hair. 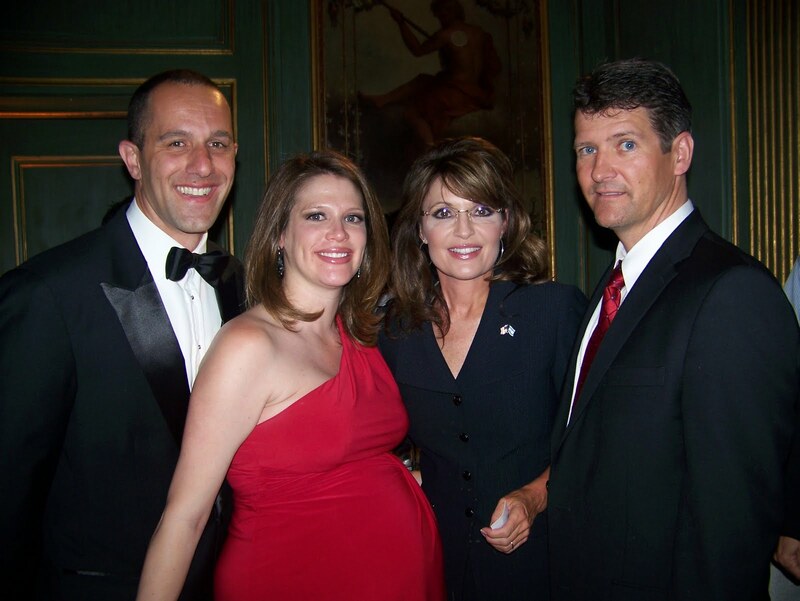 Palin did attend two after parties “to meet some people and catch up with her daughter Bristol who was in town for the dinner,” according to Greta Van Susteren at her blog, GretaWire. It’s interesting to read Van Susteren’s take on how the media, yes the same people who take all of their effort to negatively portray the former Governor in the press, were fawning over the potential 2012 candidate. “…what is fascinating to watch is how the media (all of them!) just can’t get enough of Governor Sarah Palin,” Van Susteren writes. “They were all taking pictures of her with themselves for souvenirs and writing about her. She was prominent in the Washington Post coverage, Politico and I think the New York Times. Her name and picture was everywhere! No doubt, bin Laden’s death will play some sort of role in the 2012 election when it comes to the Obama administration and national security, but with news coverage focused on bin Laden, Americans can expect a delay in any official candidacy announcements.